Bauhaus was an art school that was active in Germany in the early years of the 20th century. 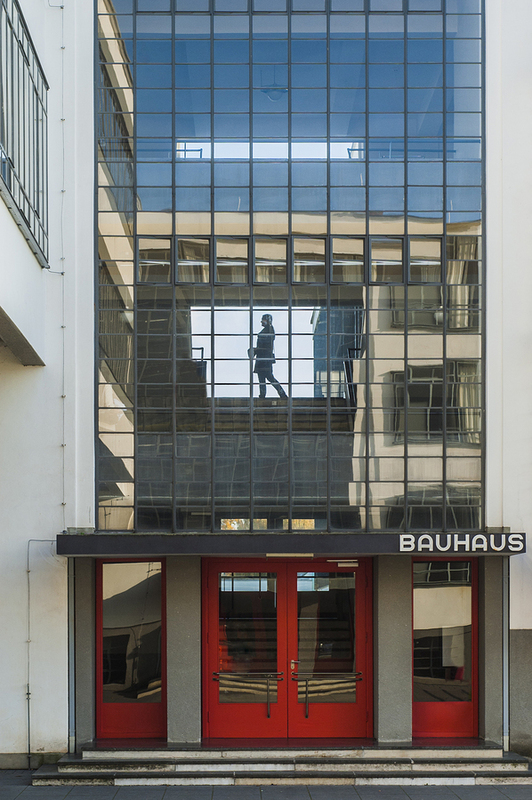 Bauhaus, meaning “construction house,” encouraged artists and architects alike in a range of fine arts and crafts, resulting in the emergence of a unique Bauhaus style that became the foundation for the contemporary design we know today. The school operated between 1919 and 1933 in three different German cities until it was eventually closed down due to the approaching war in Europe. Classic, Modern or Avant Garde? 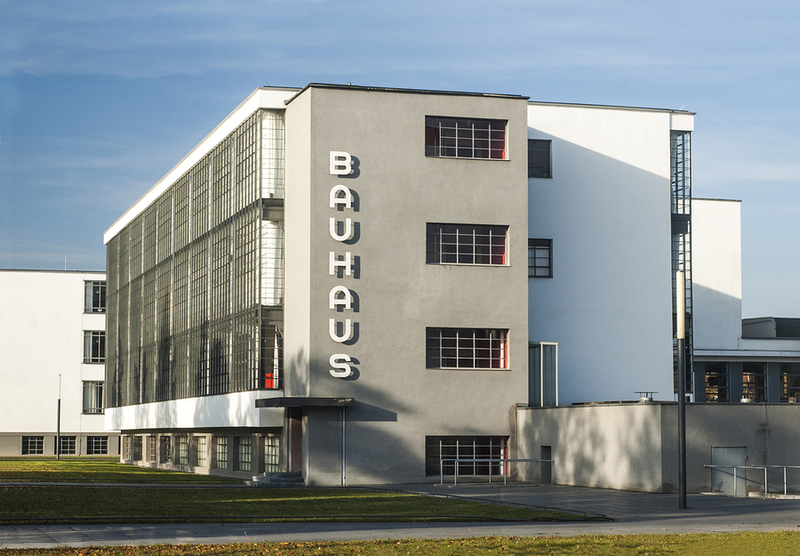 During its short existence, Bauhaus developed an approach to design that it publicized and taught, and for which it is famous today. The Bauhaus style reflected a break from the extremely ornate and heavily decorated furniture styles, so popular in the early 1900’s. This was revolutionary at the time and initially not at all well accepted. The teachers or “prophets” of the “new era” of “utmost simplicity” and functional design were Marcel Breuer (The Breuer and Wassily Chairs) and Mies van der Rohe (The Barcelona Chair). The famous slogan of the Bauhaus school, applied today in everything from glassware to electronic devices, was “form must follow function”, a quality that can be clearly seen in the sleek, clean lines of today’s contemporary furniture designs. Worldwide tastes may differ, but Danish Modern Furniture has always been in a class by itself. Yet, its roots lie in the design philosophy of the German Bauhaus school. Professor Kaare Klint was a young Danish architect, who in the early 1920’s was heavily influenced by the teachings of the Bauhaus University in Germany. At the University of Copenhagen, he taught the Bauhaus methods to young Danish architecture students. These students worked with Danish cabinet makers, together with developing a Danish Modern style of design and craftsmanship that became famous the world over. The success of Danish Modern design is unquestionably due to the addition of one more ingredient to the Bauhaus formula of “form follows function”. That extra ingredient is “beauty”. Without disturbing the purely functional design of the Bauhaus method, the Danes added soft, beautiful, and sometimes, almost sculptural lines. They created furniture that was not only functional but very attractive in its own right that, by its existence, added to its owner’s quality of life. When Danish Modern was first introduced in the United States, it was mostly teak furniture that was sold in stores. However, in the last fifteen years, there has been a change from teak and these days natural walnut, espresso and chocolate stain are now used instead. A certain segment of the market has shifted to a combination of glass and metal as well. Danish modern furniture appeals to people the world over because of its focus on function and simple elegance. In today’s modern world with so much clutter around us, simplicity, clean lines and minimal intrusion into the space available is a style that is very welcome indeed. 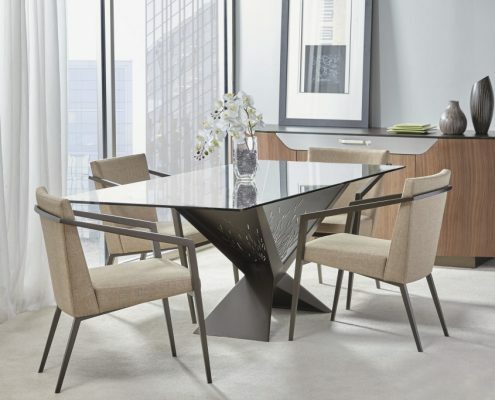 Vizion Furniture specializes in Danish Modern and contemporary Scandinavian, European and North American furniture. 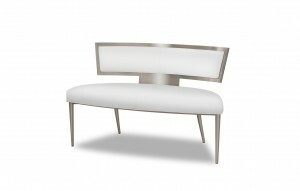 Take a look at some of these designs on our furniture pages and see if you can recognize the Bauhaus influence.